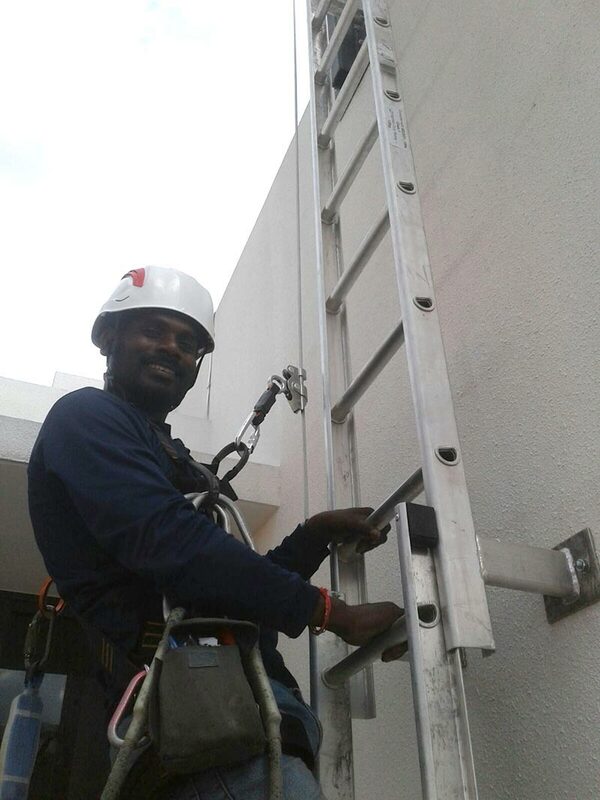 Fall arrest & restraint systems are designed to prevent or stop a person from falling and to minimize injuries in case of a fall. 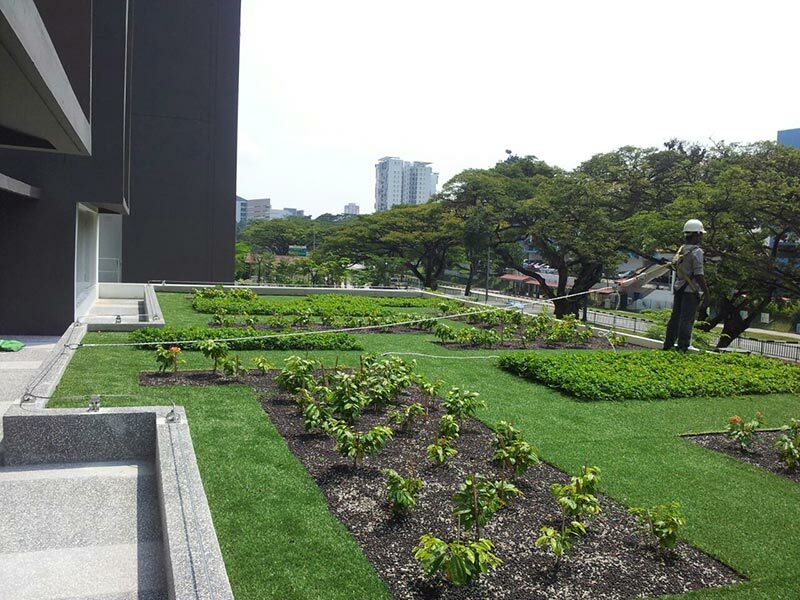 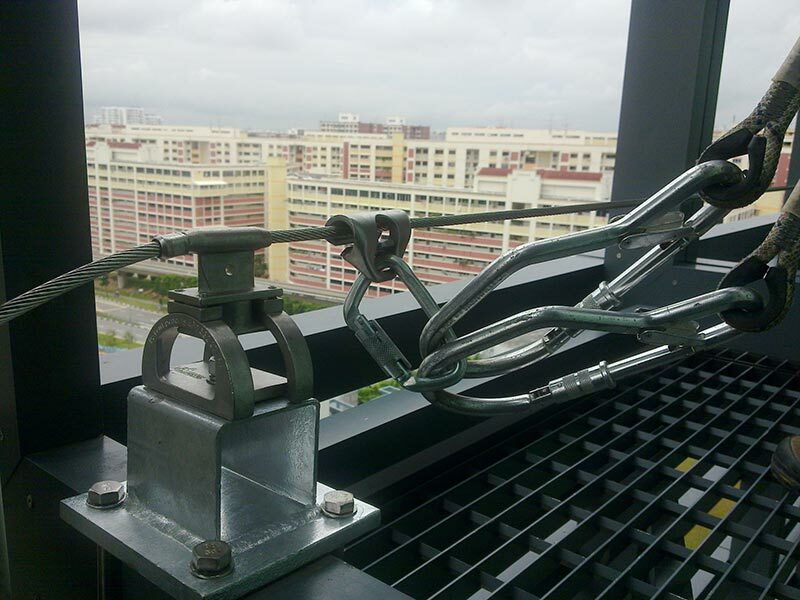 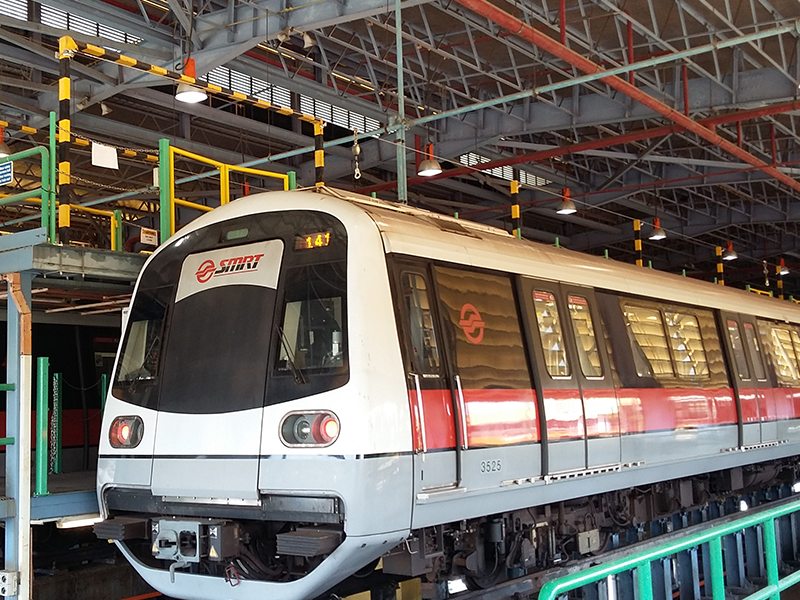 There are many ways of preventing or stopping a fall and through its extensive experience of more than 600 sites installed, Akrobat Pte Ltd will propose the most suitable solution – our horizontal lifeline systems. 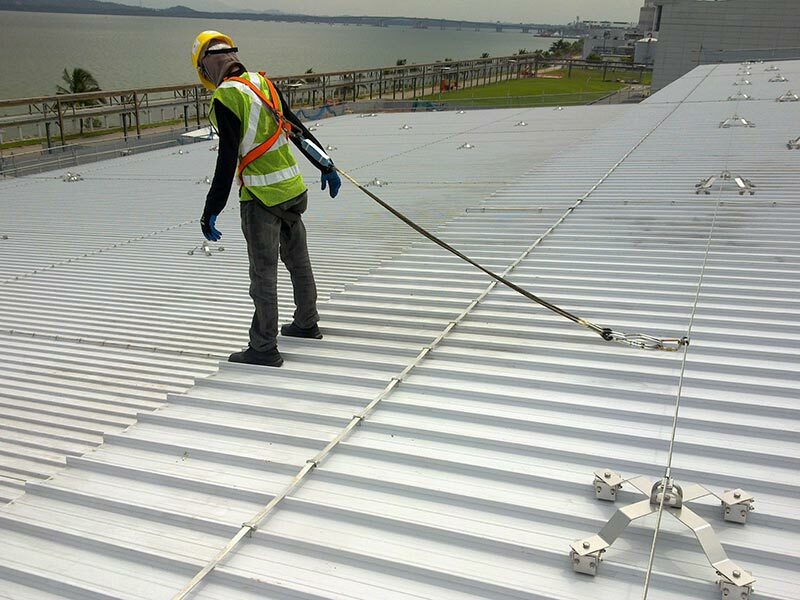 Akrobat Horizontal Lifeline is a continuous system that allows the worker to run over the full length of the lifeline without unhooking. 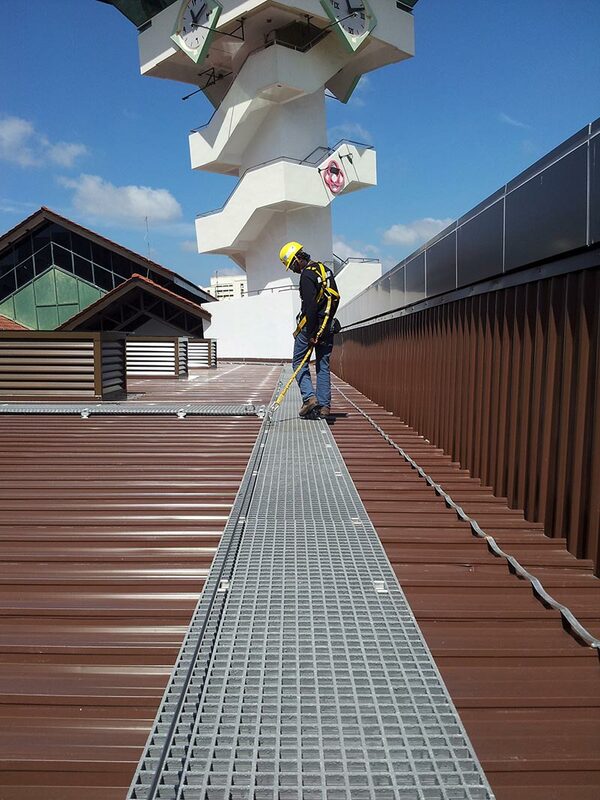 We propose the only lifeline in the market whose intermediary brackets have a system of integrated absorbers, re-settable after a fall. 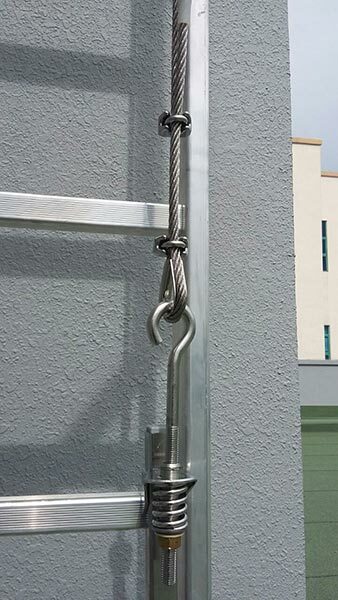 This characteristic allows the horizontal lifeline system to be installed on any support like concrete, metal roofs, steel structures and others. 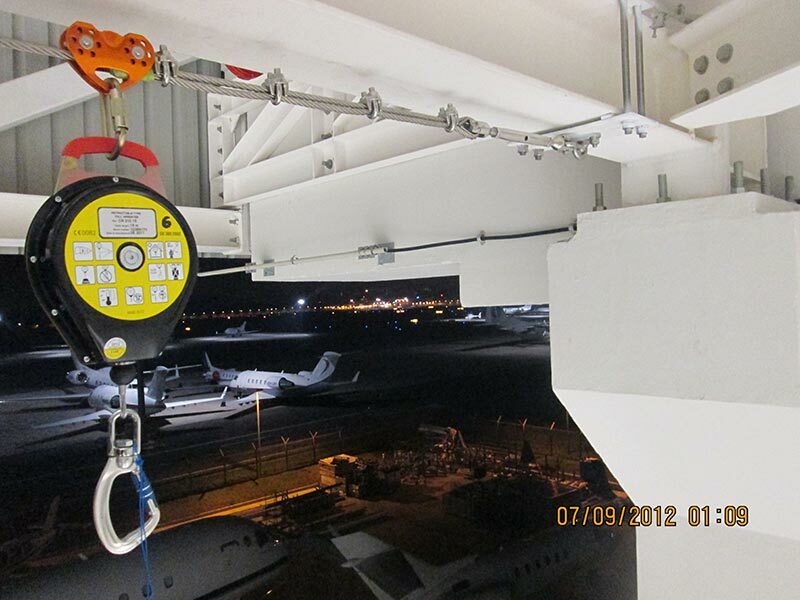 Connecting to the lanyard that is attached to the worker, the glider passes smoothly over the intermediate anchors. 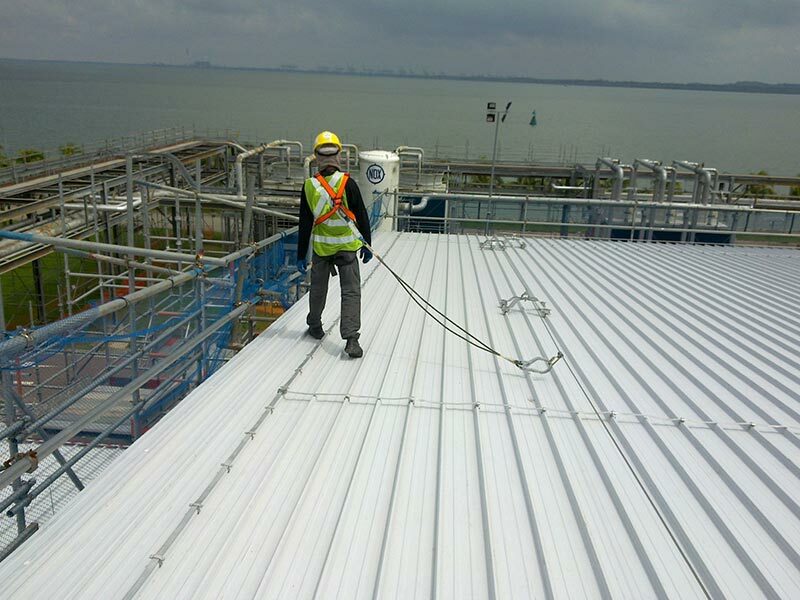 The end user can move freely along the lifeline without disconnecting, maintaining 100% tie-off. 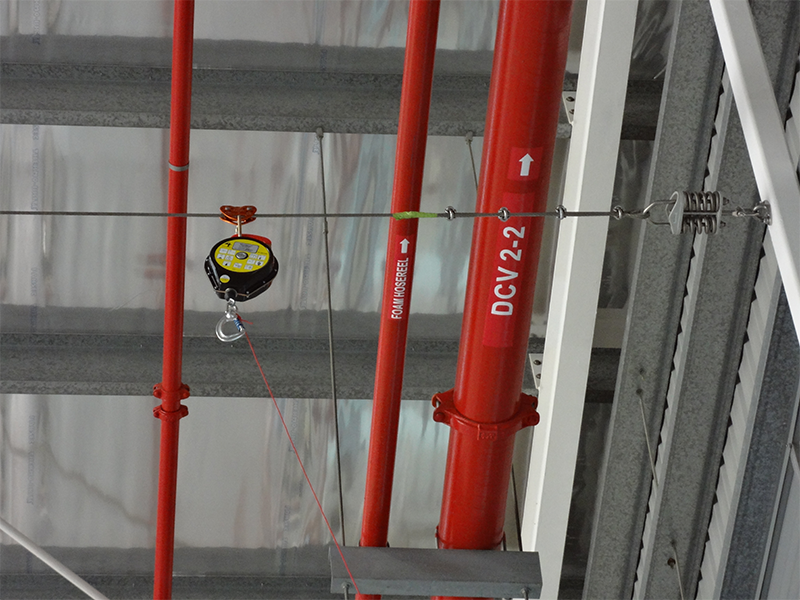 Our horizontal lifeline is a special innovative absorbing integrated system that is non-deformable and resettable after a fall. 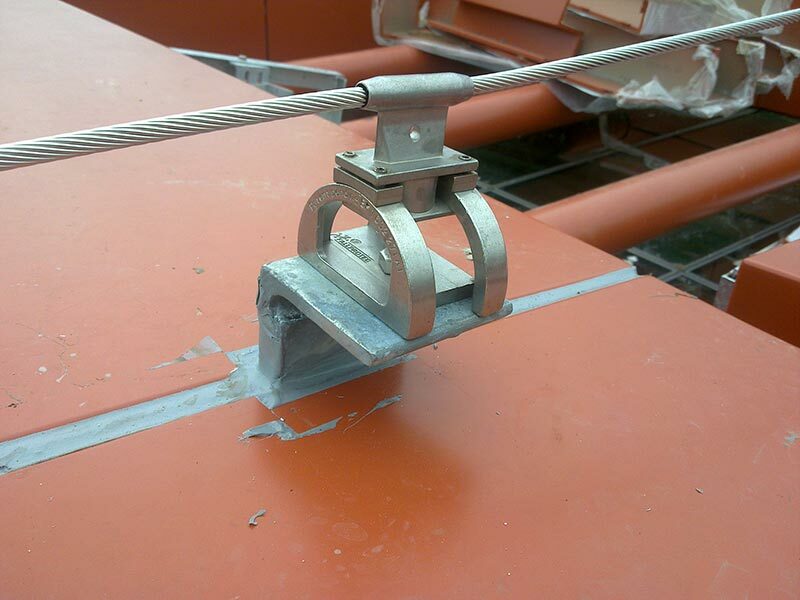 This bracket is installed at a span varying depending to the support requirements. 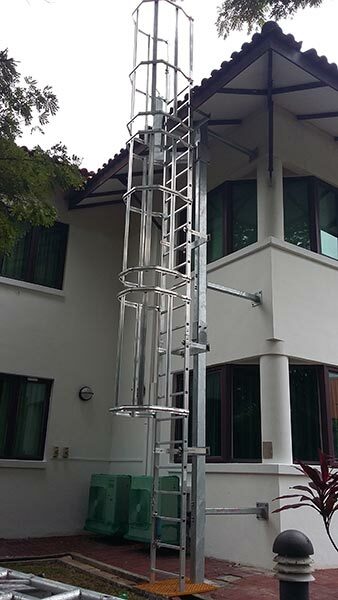 Each bracket is a certified anchor point (EN795) for rescue purposes. 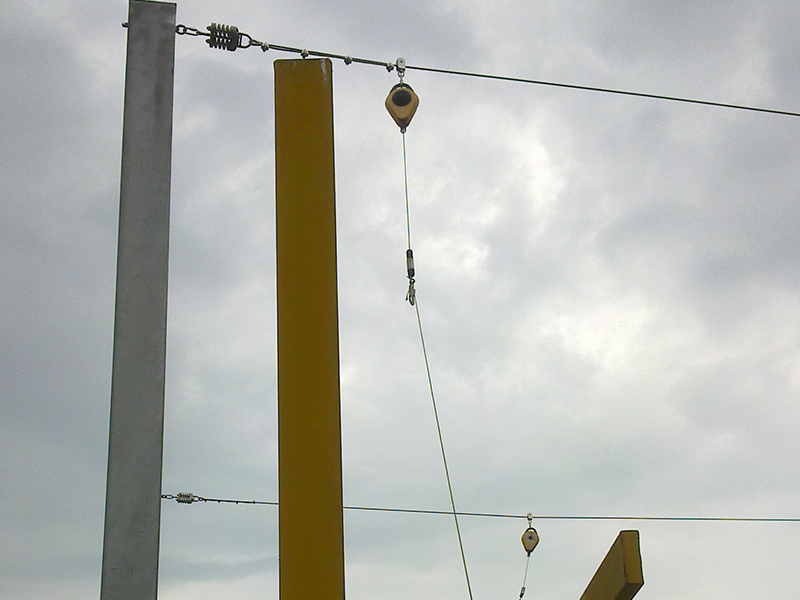 The horizontal lifeline is fixed to the structure by 2 bolts M12. 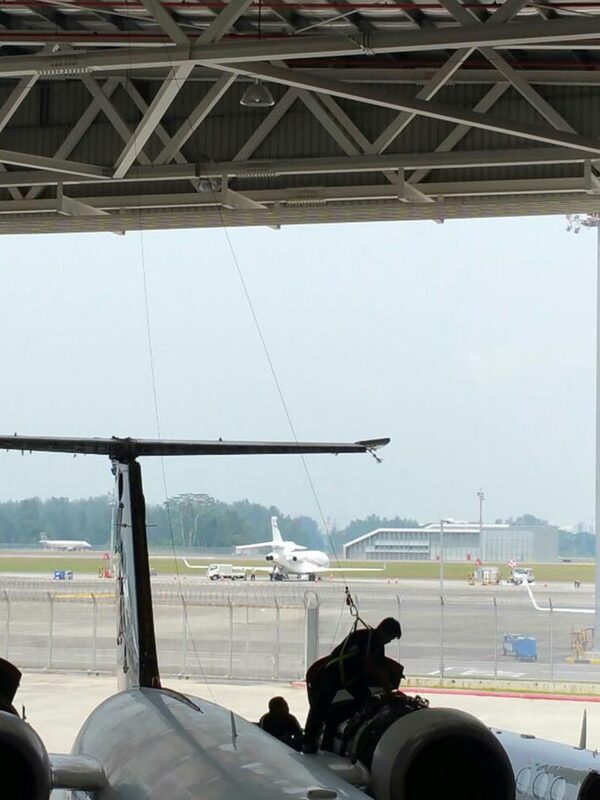 It can haul an energy absorber device on one extremity and a tensioning device on the opposite extremity. 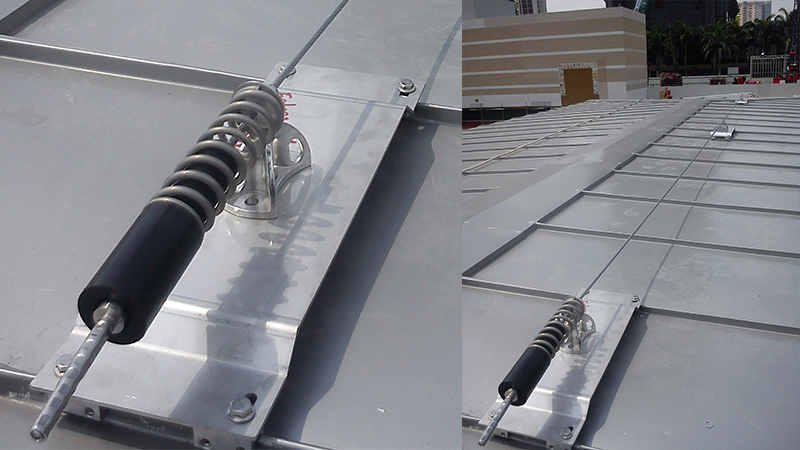 Finally, the horizontal lifeline is built with a spring system that absorb most of the fall energy and goes back to its initial position. 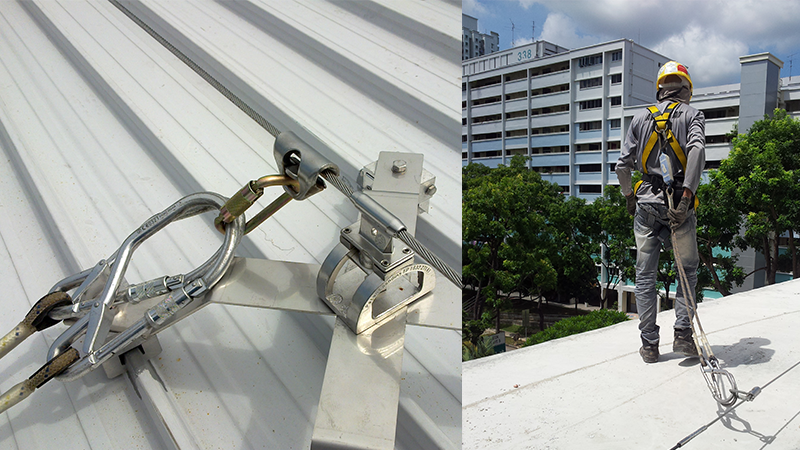 This system provides convenience and reliable fall protection for workers working on vertical façade ladders, post, mast and others. 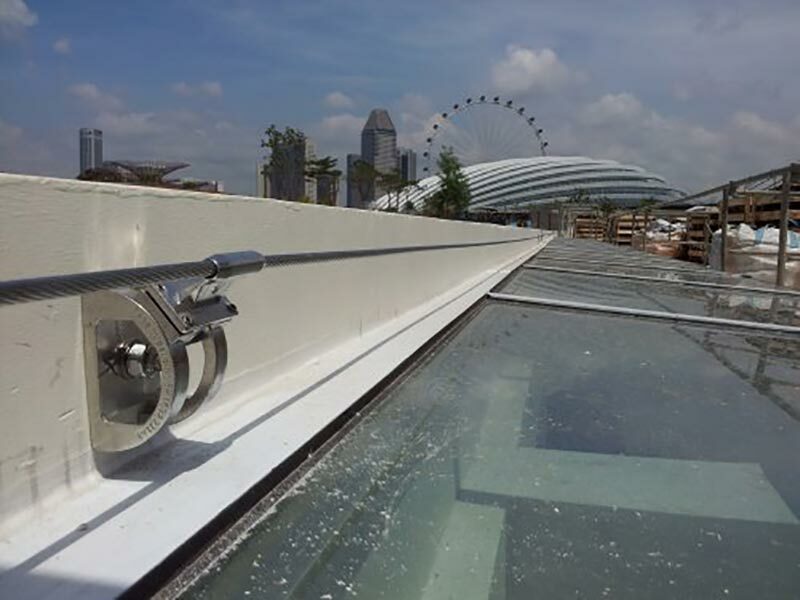 It uses a removable fall arrester(or traveler) moving on an 8mm galvanized steel cable which is terminated at the top by a cable ferrule and cable clamps at the bottom. 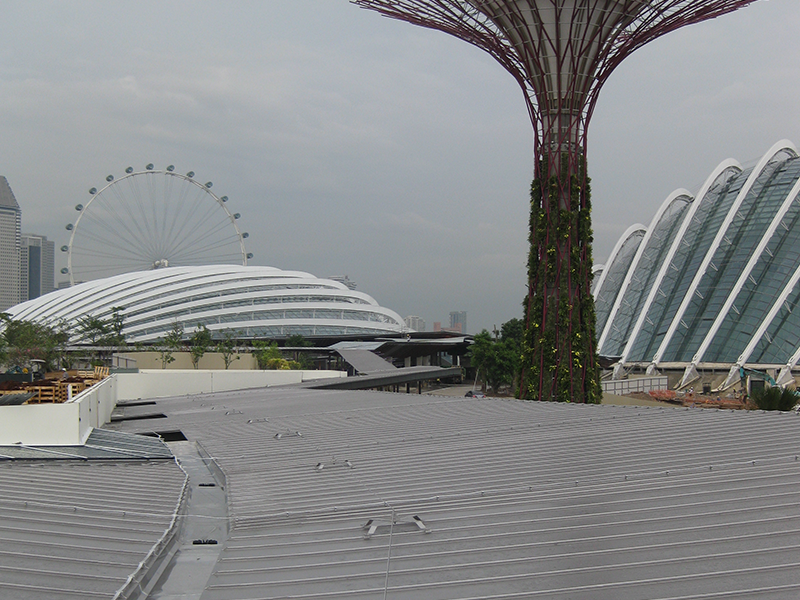 Also included in the system is an inline energy absorber to eliminate the shock pack for the traveler. 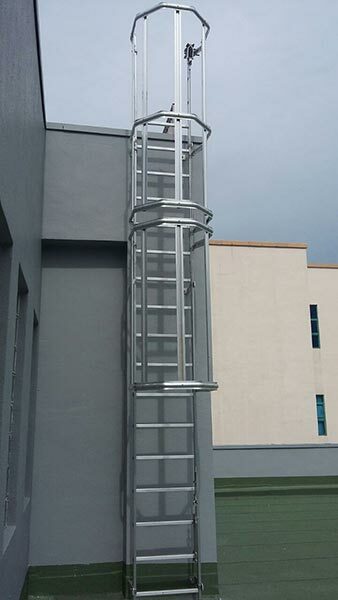 The vertical climbing system can be permanently installed to a ladder or other vertical structure that requires frequent access. 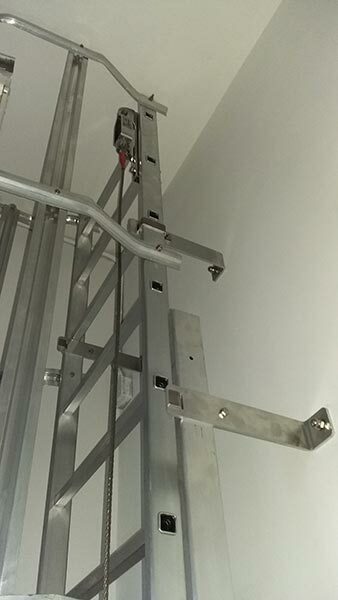 It provides a safe, functional and practical means of access and egress. 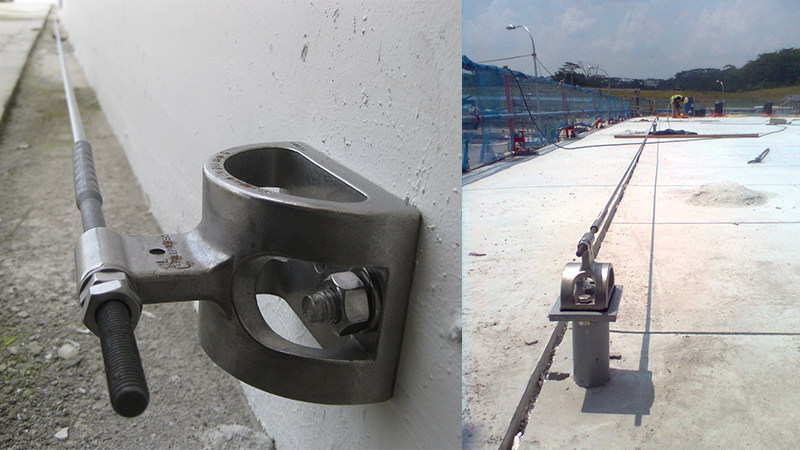 Components are made from high quality materials with corrosion resistant finishes. 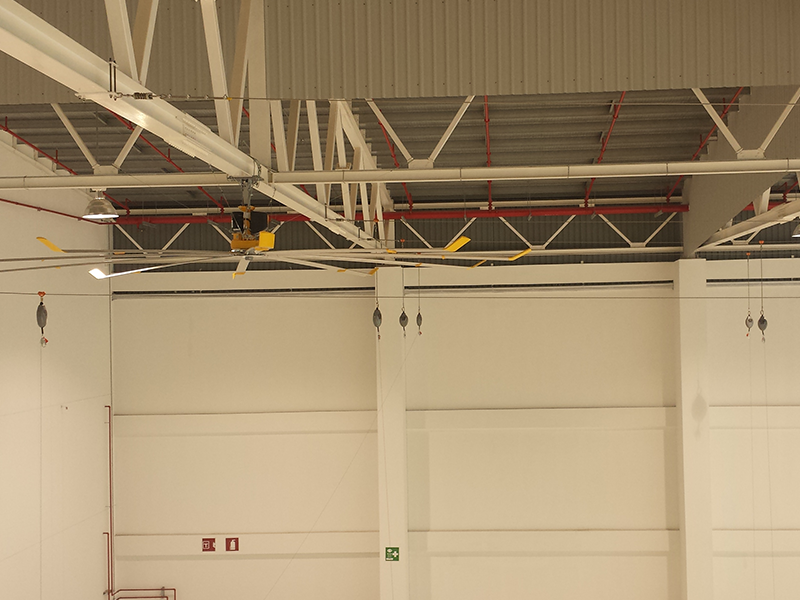 System conforms with and is tested in accordance with EN353-1 standards, CNB/P/11.073 and is CE marked. 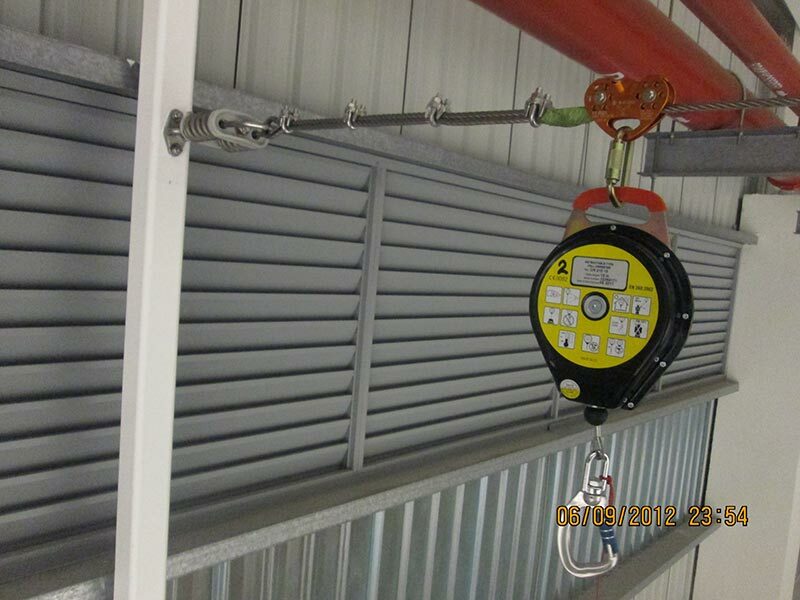 This provides the end user with complete confidence that the system meets the latest standards and legislation. 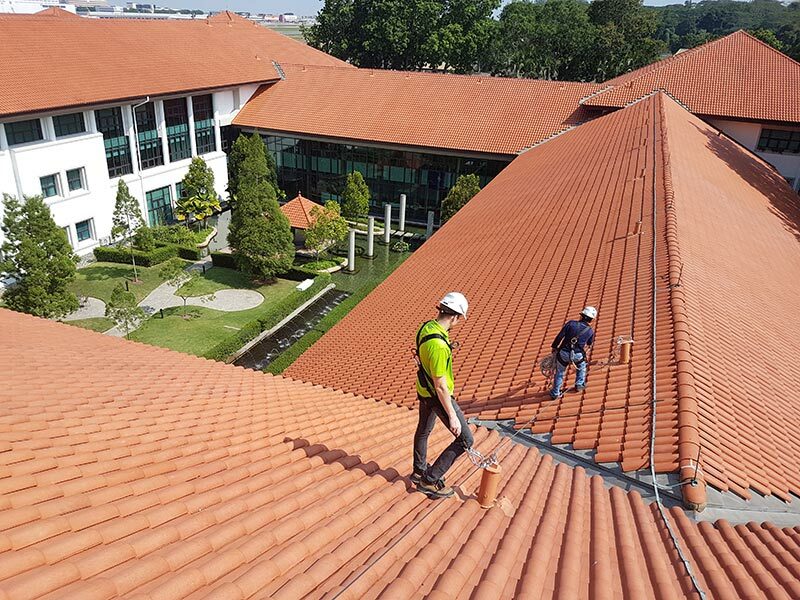 Users can attach and detach at any point along the length of the system allowing easy access to platforms and adjacent work areas. 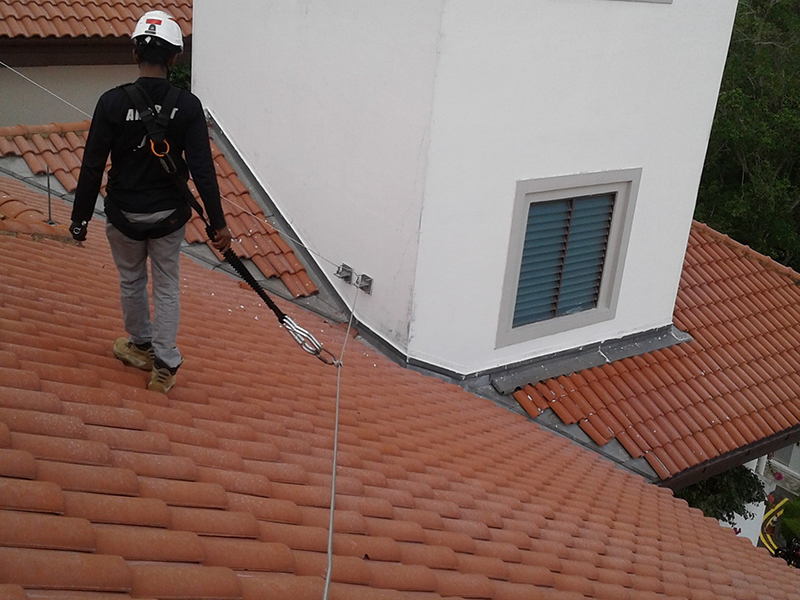 Traveler automatically follows user and locks in event of a fall, providing uninterrupted movement for the user during ascent and descent whilst maintaining complete safety. 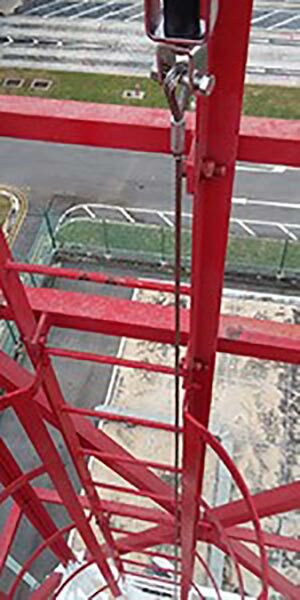 The cable is supported at 10m intervals with intermediate cable guides which prevents adverse wind chatter and cable fretting. 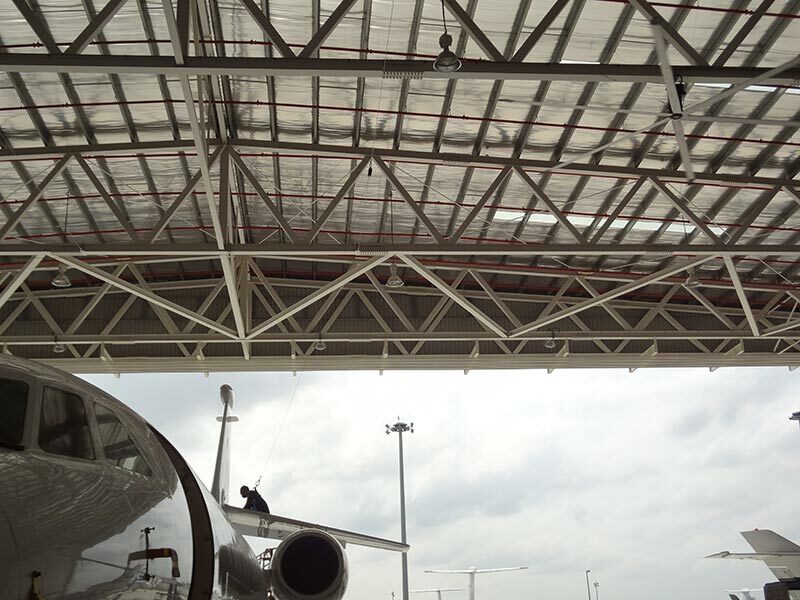 This system has been developed for loading bays, oil depots and aeronautic hangars. 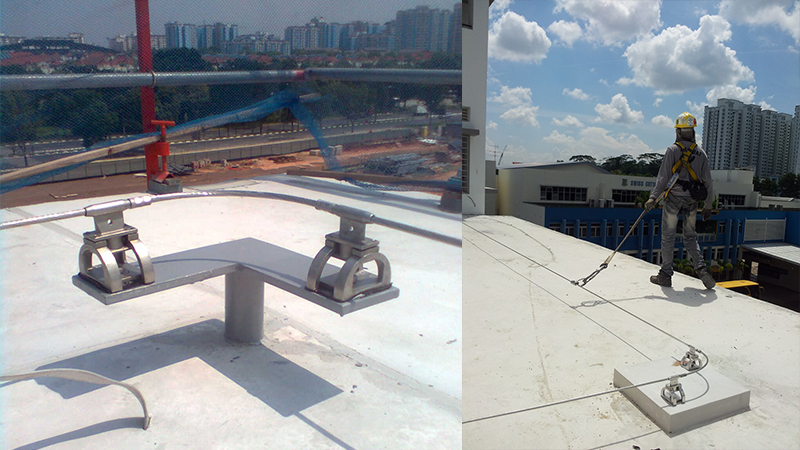 Non-deformable absorbers that would limit the load brought to the structure in case of fall. 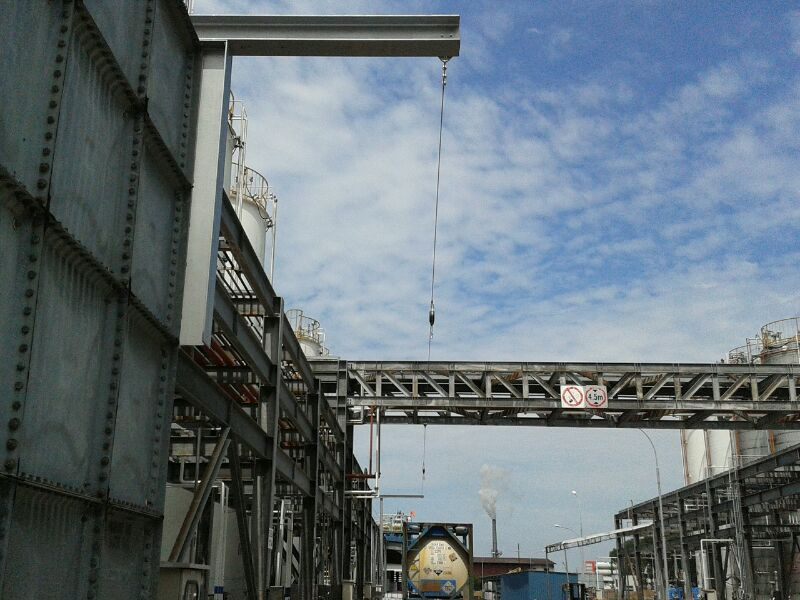 10 mm stainless steel wire rope with higher tension capability to minimize the deflection in case of a fall. 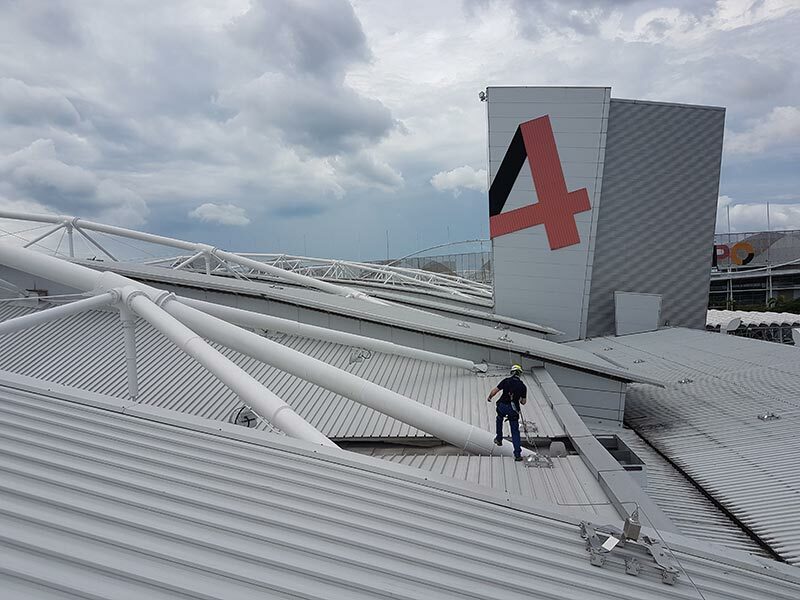 Retractable blocs are installed on pulleys; it will follow swiftly the worker movements even at a height of more than 20 m.
If you have not yet found what you were searching for or you are looking for a special solution, then contact us now.